Dental fears are common, especially in young children. Additionally, some children with special healthcare needs may be prone to anxiety or have sensory disorders that cause regular dental care to be a very challenging experience for them. While we work well with children and can put them at ease, sometimes they need help to relax while they are in the dental chair. At Ottawa Children’s Dentistry, we cater to kids and their unique needs, and we have everything we need to provide a safe and comfortable experience for your child. Whether a little nitrous oxide is needed to make a filling more comfortable, your child has fears that require sedation using oral medication, or your child’s needs or care require general anesthesia, Ottawa Children’s Dentistry can help. Your child's safety is our number one priority, and we do everything to ensure this. Sedation is a very safe and often a very effective option. Your pediatric dentist will talk with you to decide if sedation dentistry may be right for your child. Commonly known as laughing gas, this allows a child to relax and remain calm during dental treatment. Nitrous oxide can be used to calm a patient who has a dental phobia, low pain tolerance, strong gag reflex, or needs major dental treatment. Your child may experience a floating sensation, and perhaps some tingling in the hands and feet. No need to worry. This is just a sign that the sedation is working. Nitrous oxide will not cause your child to sleep; rather, your child will remain awake and responsive during the entire visit. Nitrous oxide is a slightly sweet smelling, inhaled gas that is mixed with oxygen and administered through a comfortable mask placed over the nose. During the procedure, we administer more oxygen than children breathe in normal room air – making it very safe. The effects of the gas (relaxation and reduced pain sensation) are quick acting; remain in the body for a short time, and wears off completely within minutes after using it. Parents like nitrous because the effects wear off immediately, making it easy for kids to return to school or regular activities following their appointment. If your child needs additional help to remain calm and relaxed for their treatment, oral conscious sedation may be beneficial. Kids take medicine orally that puts them into a deeper state of relaxation, which will allow for more treatment to be completed during their appointment. Like with nitrous oxide, your child will remain awake throughout their time in the office with oral conscious sedation. We will perform a medical history evaluation to ensure that oral sedation medication is safe for your child so that they can have comfortable, efficient, and anxiety-free dental care that will help support good oral health. Just like if your child needed ear tubes or tonsils removed, there are some situations when it is appropriate to provide dental care in a hospital setting under general anesthesia. Long dental appointments can be tough on children. If your child would rather take a nap through their complex dental procedure, hospital dentistry is a potential option. Often, hospital general anesthesia can eliminate the fear, stress, and anxiety that treatment can create for young kids who have a limited ability to understand their dental treatment. This method is considered safe and will allow your child to wake up to a healthier, happier smile. When a child has severe anxiety, sensory issues, or a developmental or health condition that makes it difficult to provide appropriate dental care, or when extensive and complex dental care is necessary, general anesthesia may be necessary. Hospital general anesthesia is a team approach where Dr. Laun and her team provide the dental care while an anesthesiologist provides the anesthesia. 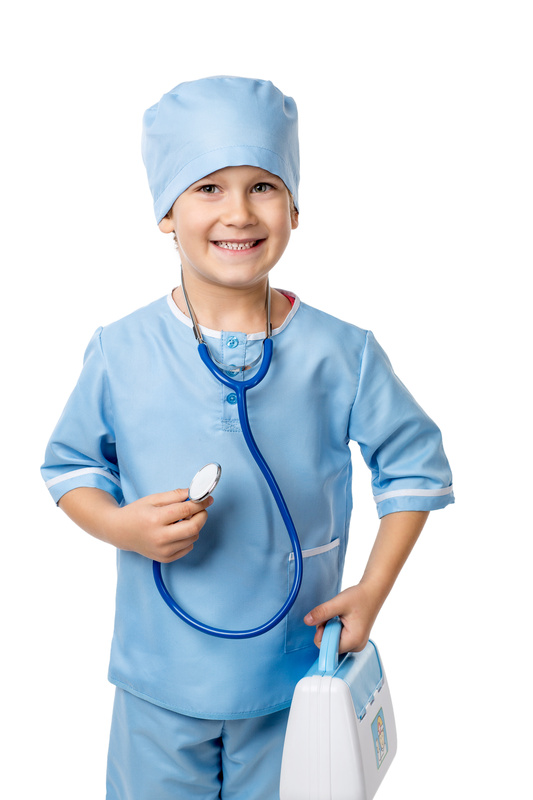 If Dr. Laun feels that general anesthesia is appropriate for your child, she will discuss the situation with you to explain how the process works. General anesthesia is performed at OSF Saint Elizabeth Medical Center in Ottawa, IL (1 block west of Ottawa Children’s Dentistry).